The IRS provides detailed information on the common errors made by many people when filing tax returns. The information, when applied with guidelines from tax experts, is helpful for creating a short St Louis tax preparation checklist. Having the checklist will save you time and, perhaps, a meeting with an IRS auditor. Social Security numbers and names are frequently entered on Form 1040 inaccurately, according to the IRS’s list of common errors. When you file electronically and the system cannot match a name to a Social Security number, it rejects the tax return within minutes. That gives you the chance to correct the error and resend the return immediately. However, when you file a paper return, the error is not exposed until it arrives at the desk of an IRS worker. Therefore, it is important to double check the information you fill on your tax returns before filing. The number of exemptions the IRS allows you to claim is determined by whether you have a spouse and the number of dependants in your tax return. The names, Social Security numbers, and relationship to you need to show on the tax form for each person you have claimed an exemption for. A disparity between the number of people listed and the number of exemptions claimed could hinder the processing of your return. 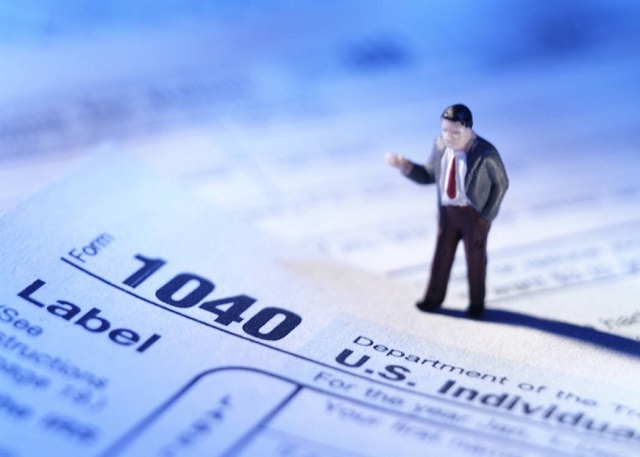 Anyone who issues you a 1099 and a W-2 also reports the income you received to the IRS. If you held multiple jobs as an employee or independent service provider, you might not recall every income you received. It is possible to avoid this mistake by listing all individuals and entities that gave you money during the year. Savings and retirement earnings also count, as do other types of income. A list of all sources of revenue helps you to recall total earnings you had in the year. If you owe the IRS extra taxes, your checklist should have an entry reminding you to include payment with your return. The IRS is inexcusable if you fail to include a check with your return. The IRS accepts a late payment only when it is included with your return and postmarked by April 15. Otherwise, late fees and interest start to accumulate immediately. Conversely, if the IRS owes you money, it’s imperative that you provide them with the correct address so you can get your refund check. If you moved during the year, the address label you received with your tax forms is almost definitely inaccurate. Having a note that reminds you to update the label prevents your check from being lost or returned. Occasionally, post offices do not forward federal mail. If you prefer to receive your refund by direct deposit, a second look at the bank details you listed on your return might catch a typo and ensure the funds reach you. When filing your taxes, you have to prove your identity to the IRS. This involves including your name and your Social Security number on the return. You will also need to provide the names of your spouse and other dependants if you have any. Besides providing proof of your identity, you are also required to provide information about your income. Depending on the complexity of your income situation, this could include one document or several. Income tax deductions are a provision provided by the IRS to allow individuals to lower their taxable income. These deductions can be proved in numerous ways, depending on what they are. Income tax deductions include interest paid on mortgage, money donated to charities, and legitimate business expenses among others. However, you need to provide proof of the deductions. Try St Louis tax preparation involves gathering several documents and making sure the information included in the documents is accurate.